Create an entire village with our different size wooden houses this bundle dives you one of each size!. Docrafts Create Christmas brings you a range of essentials, perfect for Festive crafting. 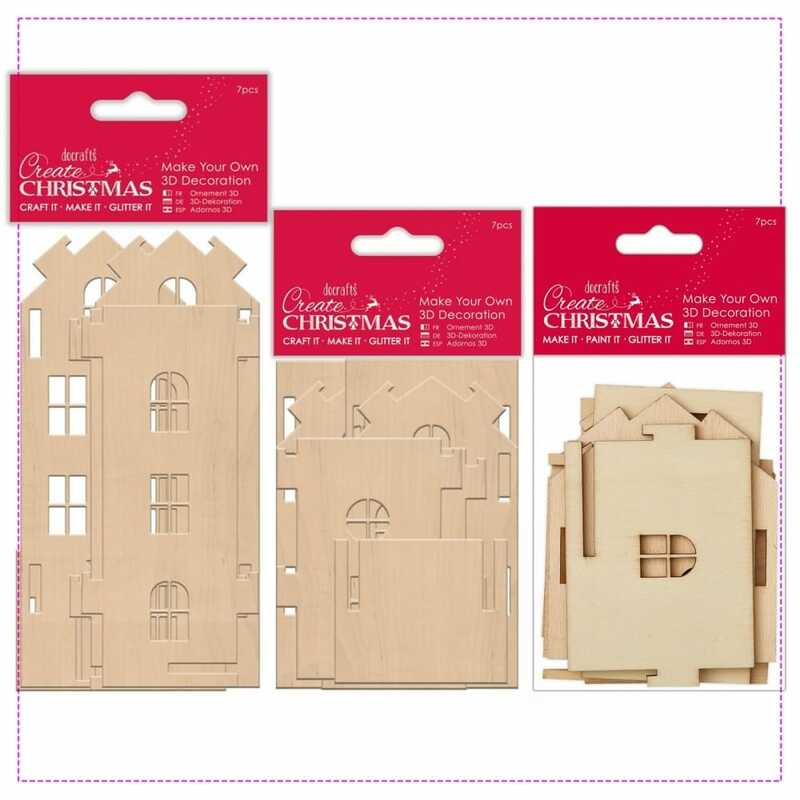 Simply embellish and personalise this Tall Wooden House as you wish, and use a festive decoration. Pop the pieces provided together for a truly charming make! Approximately 8 x 8cm, 3mm thick. Saw this bundle on create n craft but was sold out, therefore went to your website to order directly from you. I'm very happy and ordered this set also the village set. Looking forward to decorate with my nieces for a Christmas scene to go with train set that we already have. They were easy to assemble and delivery time was good.